Second-harmonic generation (SHG) microscopy has shown great promise for imaging live cells and tissues, with applications in basic science, medical research, and tissue engineering. 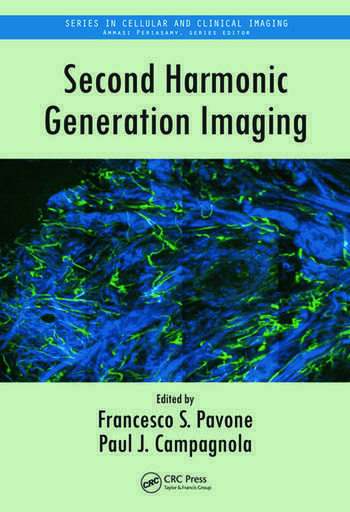 Second Harmonic Generation Imaging offers a complete guide to this optical modality, from basic principles, instrumentation, methods, and image analysis to biomedical applications. 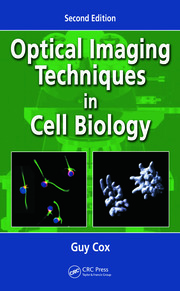 The book features contributions by experts in second-harmonic imaging, including many pioneering researchers in the field. 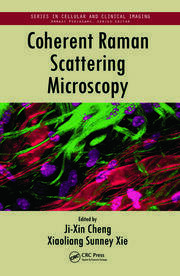 Written for researchers at all levels, it takes an in-depth look at the current state of the art and possibilities of SHG microscopy. Historically, clinical imaging at the cellular and tissue level has been performed by pathologists on ex vivo biopsies removed by the surgeon. While histology remains the "gold standard" for pathologists, its interpretation remains highly subjective. Much of SHG research has focused on developing more quantitative, objective metrics. A tutorial for newcomers and an up-to-date review for experts, this book explores how SHG may be used to more precisely image a wide range of pathological conditions and diseases. Francesco S. Pavone is currently a full professor at the University of Florence in the Department of Physics and at the European Laboratory for Non-Linear Spectroscopy (LENS), and group leader at the Biophotonics Laboratories. His research group is involved in developing new microscopy techniques for high-resolution and high-sensitivity imaging, and laser manipulation purposes. He is also engaged in tissue imaging research. He is the author of more than 100 peer-reviewed journal articles, has delivered more than 60 invited talks, and is on the editorial board of several journals. He coordinates various European projects and has organized several international congresses. Paul J. Campagnola is an associate professor in the Departments of Biomedical Engineering and Physics at the University of Wisconsin—Madison. His research focuses on the development of nonlinear optical spectroscopy and microscopy methods, with an emphasis on translational applications. These research efforts are directed at understanding cancer cell–ECM interactions in the tumor microenvironment as well as fabricating scaffolds for tissue regeneration. He has published more than 50 peer-reviewed journal articles and several review articles and book chapters, and has delivered more than 70 invited talks. He serves on the editorial board for the Journal of Biomedical Optics and on numerous NIH and NSF review panels. "… comprehensive material of fundamentals, mechanisms, theory, practical implementation, and multiple practical applications of the novel and prospective nonlinear optical imaging method. The editors are to be congratulated for this outstanding work, for collecting excellent chapters, and for book editing. 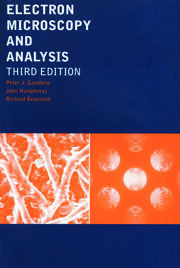 … useful information for experts in the field and also can serve as a tutorial for master’s and PhD students specializing in biomedical engineering and medical science." 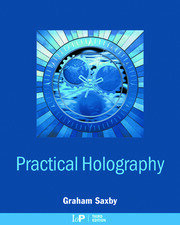 "This book provides up-to-date coverage of our current understanding of harmonic imaging principles and also the most important biomedical applications of this technique."